Program is the specific set of instructions, understandable to computer. It is used to produce desired results. Person who codes instructions using syntax of any computer languages is called programmer. In this way, programmer is a human ware dedicated for software development. It should be simple for learning and coding. It should use some natural languages if possible to develop the program. It should be efficient for program development. It should be suitable for program development. It should occupy less space to store and processes. The syntax is a rule that indicates about validity of programs. The program is a set of instructions that follow valid syntax rules or grammar to write the code. Generally, syntax is a valid program strings and it differs language to languages. On MSDOS, C:\DIR [Drive name] is a syntax. The rules that give meaning to programs are called the semantics of the programming languages. We can say syntax has specific output oriented meaning, which is called semantics. It defines the statements used on the program. sum=x+y: the semantics tells that sum of x and y is assigned to variable sum. When we compile program, error messages are displayed due to syntax error which are called bugs. The process to correct such errors is called debugging. Some compilers are equipped with debugger to remove programming errors. These compilers diagnose errors and debug them carefully. Some mistakes, unrecognized words used in the program are called errors on the program. These are three types of errors. Syntax Error :Errors due to the bad command format or bad instructions and sign are syntax errors. It is very easy to detect syntax errors because program will stop to work when it gets the syntax errors. Run time Errors :The errors appeared at the time of program execution is called run-time errors. Compilers and compilers do not detect these types of errors because these types of errors are not appeared due to syntax rules. It is due to system input type and the output system. Logical Errors :The incomplete logic codes produce logical errors in program . These types of errors provide incorrect output. The compiler and interpreter are unable to detect these types of errors. It is very difficult to detect such errors because we have to detect it after getting output only. Language is a medium of communication. There are several languages developed in separate environment and geographical conditions. Nepali, Newari, Maithili, Bhojpuri, Urdu, English, etc are examples of natural languages where as BASIC, FORTRAN, COBOL, LISP, C, C++, C#, JAVA etc are artificial or fabricated languages. Program is the specific set of instructions, understandable to computer. It is used to produce desired results. Person who codes instructions using syntax of any computer languages is called programmer. 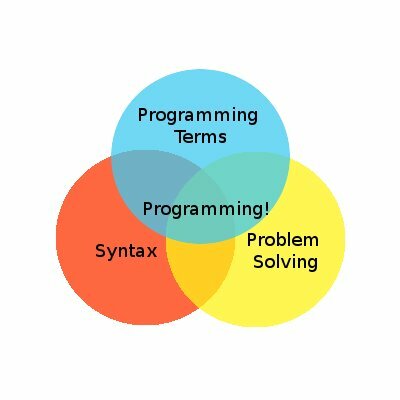 The syntax is a rule that indicates about validity of programs. The rules that give meaning to programs are called the semantics of the programming languages. When we compile program, error messages are displayed due to syntax error which are called bugs. The process to correct such errors is called debugging. These are three types of errors. Syntax Error, Run time Error or Execution Error, and Logical Errors. Program is a set for instruction given to a computer to perform specific task. A program tells the computer what to do. The process of writing a program using a series of instruction code i.e. keyword, in a computer language to perform certain task is known as programming. What are the good features of programming languages? What do you mean by semantics? The rules that give meaning to programs are called the semantics of the programming languages. We can say syntax has specific output oriented meaning, which is called semantics. Errors due to the bad command format or bad instructions and sign are _______. The rules that give meaning to programs are called _______. Which of the following language is artificial language to communicate with computer? Computer dependent language written in binary is _______. The process to correct errors while running program is called ______. Any Questions on 'Program and Programmer '?